Ready to start your TAE40110 TO TAE40116 Upgrade? You still can! ASQA's deadline has been pushed to July 1st, 2019.
for VET Teachers from July 1st, 2019. ▸ Why do we offer a free trial? Selecting a TAE Training provider can be difficult. Many businesses and schools find that the training product isn't quite right, but only after they've paid for the course. At TAE Training Academy, we want to ensure your satisfaction by enabling you to try our training for free. 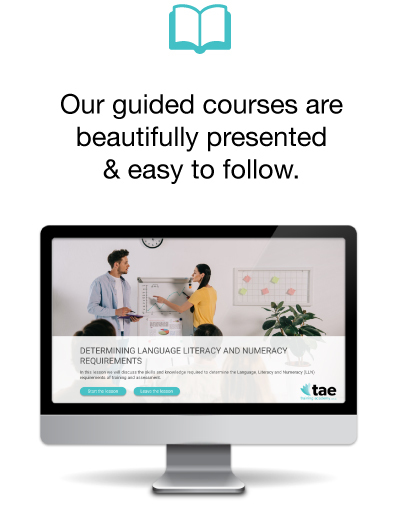 We believe in our guided eLearning and course design, and know you'll see it's the right fit for you. Note: Please be aware all courses require blended learning and completion times will depend on the learners background, experience and TAE40110 units held. By attending our upgrade workshops does not guarantee completion. 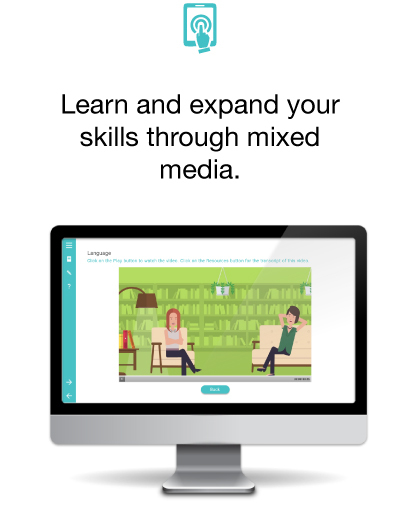 Access all of our new eLearning materials in this Free Trial. No trial time limit: Follow our eLearning resources and view assessments. *Note, prior to payment, you are not formerly enrolled with TAE Training Academy. Complete quizzes, submit assessments, learn through reading, watching, listening, and more through our new guided e-Learning resources. for VET Teachers from April 1st, 2019. Rather than complete one or two units to meet the updates to trainer and assessor credential requirements to come into effect from April 2019, announced by the Commonwealth Government on July 6, 2017, the TAE Training Academy has developed an upgrade program that allows trainers to complete all necessary requirements with a clustered approach to assessment. This approach builds on trainers current knowledge and ensures trainers will complete all of the requirements in one clustered assessment and walk away with the NEW TAE40116. By upgrading to the new TAE40116, trainers will likely be better equipped for any future legislative changes to training and assessment requirements. This TAE upgrade course is designed for educators to transition their existing TAE40110 to the new TAE40116 qualification and ensure TAE currency is maintained. Note: If trainers hold any of the above units or their equivalent they will be eligible for credit transfer. There is a new entry requirement for TAE40116. Trainers entering this upgrade program must be able to demonstrate vocational competency in their proposed teaching and assessing area. All trainers as part of the TAE40116 upgrade are required to meet the TAE Training Academy's entry requirements and this includes providing a copy of their current Certificate IV in Training and Assessment TAE40110 and record of results for credit transfer purposes as well as current CV. Skills Ministers agreed that trainers and assessors who do not hold the relevant units will have until 1 July 2019 to meet the new credential requirements. Start Today, sign up online, no credit card required. No trial time limit: Follow our eLearning resources, pay only when ready to unlock assessment taking. When you are ready to enrol, take your assessments, and become certified and/or you want one-on-one support from our trainers during the course, simply upgrade your trial by paying the $495 enrolment fee. Group bookings can be completed onsite at your RTO or at the TAE Training Academy Headquarters. Minimum numbers required for onsite group bookings at your RTO. For more information on group bookings, including pricing, please contact us.